Anuj Gadiyar worked as a Project Assistant in the Wireless Communication and Sensing Laboratory. He received a B.S. 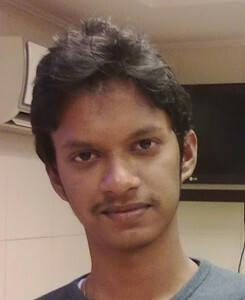 in Electronics and Communication Engineering from Vsvesvaraya Technological University, India in 2012. He is pursuing M.S. in Electrical and Computer Engineering at the University of Wisconsin-Madison. His research interests include wireless communication systems and computer architecture.